Toshiba, one of Japan’s most storied companies, is in serious trouble. The company was supposed to report its quarterly earnings on the Tokyo Stock Exchange today, but it never showed up. Instead, it said it wasn’t ready and begged for another month to file. It then got worse, as the Washington Post reports. The company ended up admitting that it take a $6.3 billion write down related to an acquisition made by its subsidiary, Westinghouse. The chairman of Toshiba, Shigenori Shiga, also resigned, reportedly to “take responsibility for the losses,” according to the Post. 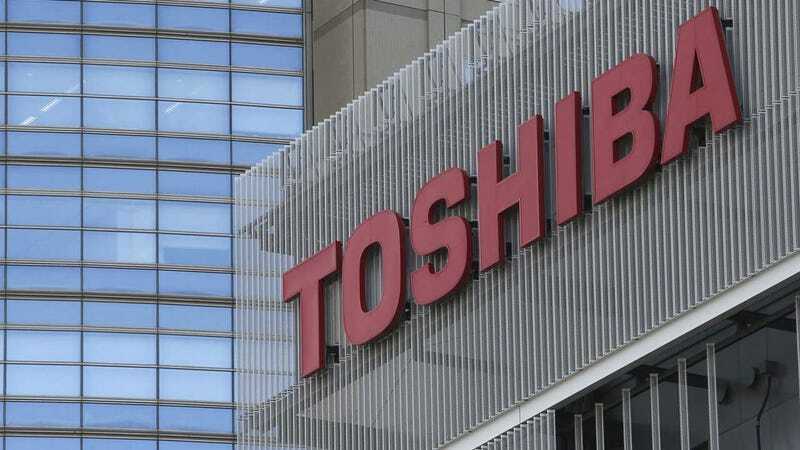 Westinghouse faces spiraling cost overruns at nuclear plant projects in the United States, and Toshiba said on Tuesday that it would like to sell all, or part, of its controlling stake in the company. Previous efforts to offload a portion of its shares in the subsidiary have failed, however. In 2015, Westinghouse bought an American construction company it had been using to build its various nuclear power plants in the US. But Toshiba’s auditors figured out, way after the fact, that the company had overpaid. In December, Toshiba warned investors that it might have to write down “billions” on that botched investment. Now it is—to the tune of $6.3 billion. Toshiba’s stock price is now half of what it was just six weeks ago. Toshiba put its microchip division (which was making money) up for sale last month. None of this looks good for a company that is iconic in Japan and still very well known in the United States. The Post reports that the company might be forced into bankruptcy. The whole thing is strangely reminiscent of another bad investment by another major tech giant, HP. Back in 2011, HP and its then CEO decided to spend $11 billion on a software company, that as it turned out, didn’t do what it said it would do. A year later, HP had to write down $9 billion on that purchase. The resulting financial nightmare basically forced HP to split into two different companies. If things don’t turn around for Toshiba, it’s entirely possible something similar might happen. Guy Responsible for HP&apos;s Humiliating $11 Billion Autonomy Purchase: Don&apos;t Look at Me!